Jim Alexander has spent his career as a documentary photographer shooting what he wanted. That has meant, by in large, decades of images of social activism made for the purpose of social activism. Jim Alexander has spent his life making photos for the causes he cares about and of artists he loves. Jim Alexander has done a lot of things. At one time or another he has been a bookstore owner, the general manager of a newspaper delivery service and a car detailer. He ran a pool room, taught horseback riding and was a diesel engine mechanic in the Navy. But what really defines Alexander are his camera and his activism. The proof is on the gallery wall at the Tubman African American Museum in Macon in Alexander’s show Participant Observer. There you can find images of the black musicians and artists Alexander loves--Dizzy Gillespie, Duke Ellington, Eddie Kirkland among them. And of course politics---Ku Klux Klan protests, the South African Liberation movement, civil rights marches. To see how it started, Alexander showed me to an image of a tiny bed. That was Alexander’s home through much of what he calls his “street time,” the years of drinking and gambling he had to get out of his system after his time in the Navy where he picked up photography. A fellow sailor had settled a gambling debt with Alexander with a Kodak Brownie. This tiny bed in the photo was his refuge in during the street time years. Eventually he cleaned up, picked up a camera again and visited this place one more time. Light streams in from a slit through a window onto a slack pillow with the imprint of a sleeper’s head. Like all of Alexander’s work, this is a personal document. Eventually Alexander worked nights in newspaper circulation in his native New Jersey and took pictures by day. He was immediately drawn to the growing political turmoil of the 1960s. 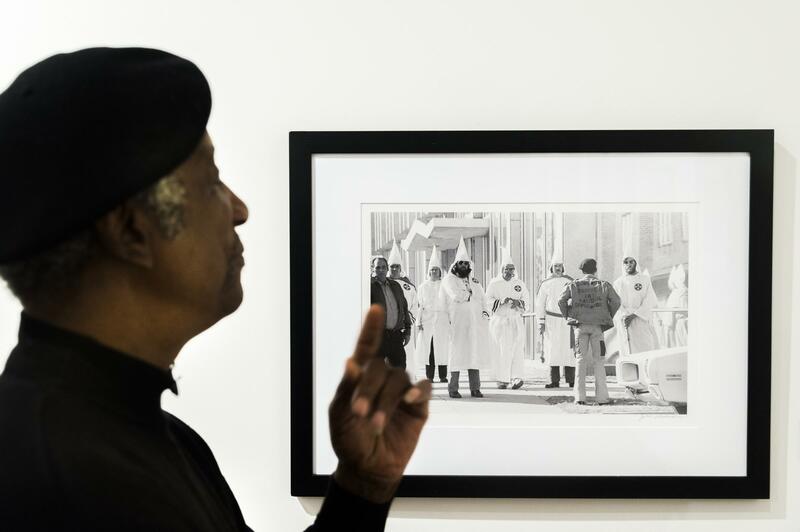 He hung out in Harlem and found as his mentor the man who was then the nation’s most prominent black photojournalist, Gordon Parks. One day Parks told Alexander how he was trying to mount an exhibition of his LIFE magazine work. “He said, ‘But I can't do it.’” he recalled. Alexander was incredulous. “What do you mean you can't do it?” Alexander asked Parks. “Well the pictures they want in the exhibit, I can't get the negatives because Life magazine owns all of that stuff,” Parks told him. The show didn’t happen. This was around the time Martin Luther King Jr. was assassinated. 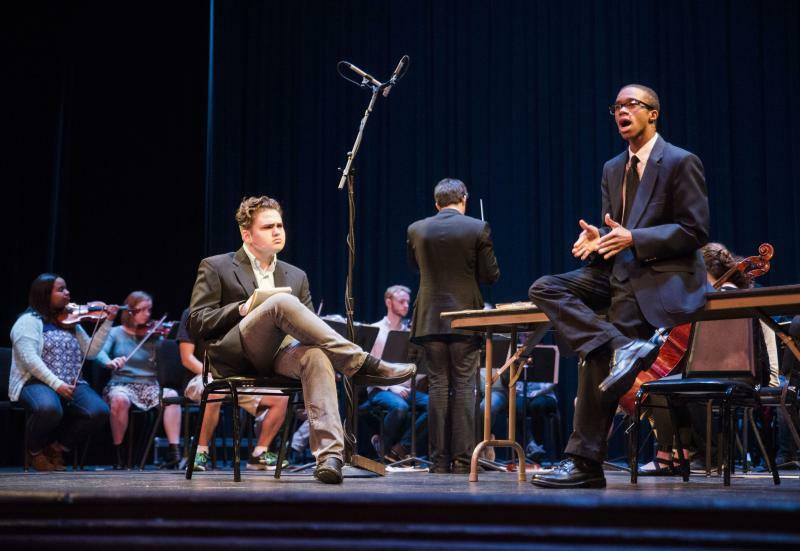 Both events led Alexander to a life-defining decision to keep control of his own work. So Alexander decided to earn a photography degree and teach others to do what he loved at the same time. Parks approved. “He said, that sounds different, that sounds better,” Alexander remembered. The strategy worked. An image on another wall bears that out. It captures a scene on the sidewalk in front of the Tupelo, Miss. Police Department on a day in 1978. By then Alexander was teaching in Atlanta. He took his students on a field trip to a Ku Klux Klan protest and rally. In the photo are five men in full Klan regalia, white robes, hoods. One man has an axe handle in one hand and a cigarette in another. Then there are the men in street clothes. “These guys are new recruits. They didn't quite get the uniforms yet,” Alexander said. He used a wide angle lens and stood very close to these men. He wanted to record the whole scene. He doesn’t remember being afraid. “Because my feeling? These guys here? In the daytime... their reputation is not about doing stuff in the daytime,” Alexander said. As long as the sun was up, Alexander made photos. The photos only realized their ultimate importance when the sun went down. Jim Alexander with an image of an Ku Klux Klan protester facing down Klan members during a rally in Tupelo, Miss. in 1978. This image and others were used to prosecute Klan members who assaulted protesters. Under the cover of darkness, Klan members assaulted protesters on their way out of Tupelo. When attorneys and activists found Alexander and asked for his images to help identify the Klan members, Alexander was happy to help. “And they used those pictures to prosecute a lot of those people who were Klan,” he said. Men went to jail with the help of Alexander’s photography. That was just one example of how he has used his photography as activism. That practice encouraged curator Jeff Bruce of the Tubman Museum to mount the show. To maintain his freedom to use his work as he sees fit, Alexander says he has never made a picture for hire. “The first thing comes through your head is the mentality of the media that you working for,” he said. For Jim Alexander, people picking sides, presenting their case as honestly as they can, that’s how we all come together and eventually do what’s right. 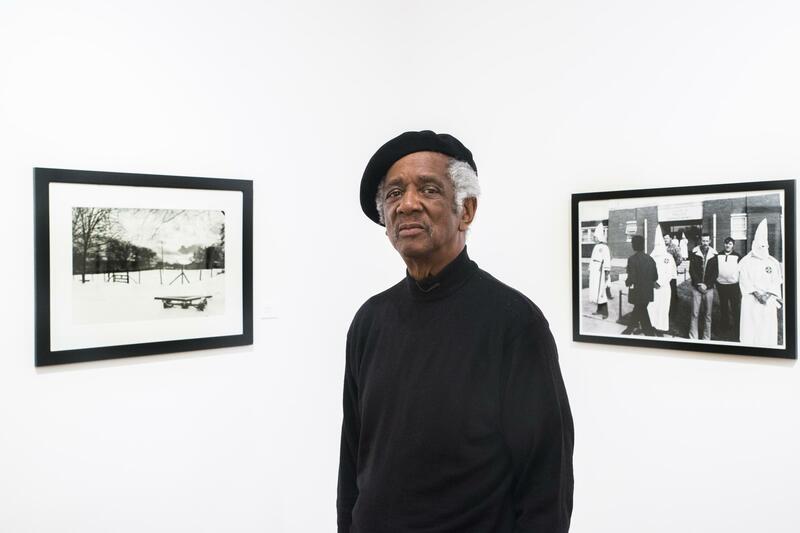 Alexander’s show Participant Observer will be at the Tubman African American Museum in Macon through the end of March. Anthony Ponder has been cutting hair for most of his life. He has also spent a lot of time in prison. Ponder lost his equipment the last time he was incarcerated. A pair of Macon churches have set him up with gear again. In return he is cutting hair on Sunday mornings for other men who like him are getting back on their feet.